Gathering a number of resources from both Master New Media and other useful websites, I have tried to answer here the common questions that new bloggers have. While it would be impossible to cover everything, you should find here all of the basics, and more, on how to get your first blog set up, niche-targeted, and read by someone other than your best friend. 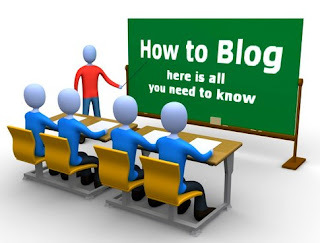 In short, a simple primer on "how to blog", that will take you from choosing your subject and blog platform, through to making your blog text stand out and grab your readers' attention. Can I publish from a desktop application? How can I make my blog content stand out? Where can I find free or cheap images to use in my blog? Where can I find more blogging resources? So dip in, take what you need, and get yourself on the road to being an independent online publisher. There's never been a better time to get started. 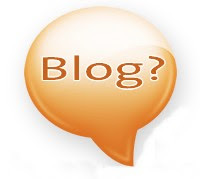 "Technically, a blog is a series of posts arranged in chronological order. Most agree, however, they're an important form of expression. Though many modern blogs are personal observances updated on a regular basis, the earliest blogs weren't rants or observances. They were lists of links maintained by a handful of tech savvy individuals. It wasn't until the late 1990's that blogging evolved into what we see today." A 'post' is just another way of saying an entry, like an entry in a diary, or a column in a newspaper. Posts are actually arranged in reverse chronological order, which means that when you visit a blog on the web, the latest story will appear at the top of the website, and the earlier ones will descend in order beneath it, by how recently they were published to the web. They quite often have a time and date stamp - so that readers know how recent the post is. Commonly people aren't so interested in reading out of date posts. Blogging is very much an "of the moment" phenomenon, and while you might create "evergreen" content, it's likely that at least some of your posts will be time sensitive. "A blog is a website in which items are posted on a regular basis and displayed in reverse chronological order"
So there you have it - a blog is an easy way of publishing your thoughts to the web, and here are in their own words 100 different people telling you how they personally feel about what a blog really is. There is no single reason to write a blog, as it very much depends on your motivation. Nevertheless, blogging can have a number of benefits, whether it is to help boost the presence of your business online, or just to share and debate ideas with like-minded people. "Blogging's something for anyone and everyone. I can't think of anyone who can't benefit from knowing more people, never forgetting a thought again and improving on their thoughts with little or no effort. For some blogging will be like a diary: a historical record of their thoughts at a moment in time. For others it'll be like speed-networking. You get to know people in a shallow way and then develop a relationship." here are plenty of reasons to give it a shot. ing, search engines favour websites that are updated regularly, and blogging is a great way to make sure that your content is always fresh, and thus regularly checked in on by Google and company. This gives you a much better shot of appearing high in the results of Google search. "In a forum where your main objective not is to sell, you'll have a more personal relationship between you and your customers. Blogs are a fast way to join the customers' discussions, provide tips and insights or receive feedback." So whether you want to reach out and communicate with fellow hobbyists, give your customers an opportunity to interact with you, or boost your online presence, blogging is a great way to go about it. A blogging platform is the software you use to publish your content to the web. Just as you might have a choice about which word processor or web browser to use, there are also a range of different blogging platforms available to you. Some are free, while others will cost you a monthly or yearly subscription. Some are hosted online for you, while others require you to host them on your own web server. Some are meant for individual blogging dome others for group publishing o to create small networks of bloggers. So which one is likely to suit you best? By far the easiest way to get started is a hosted blogging platform. 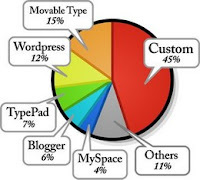 The most popular choices here are Blogger.com and Wordpress.com. Both of these services are free to use, and you can get started on your blog very easily, with a minimum of setup. "This is the type of blog that many bloggers start out with, simply because they are easy and usually quite cheap (if not free). Probably the most popular of these systems is Blogger.com - but there are others like WordPress.com and MSN Spaces. TypePad also runs hosted blogs - although have the option to go with a type of standalone option also through remote hosting." If you aren't sure about blogging and want to give it a try first, these are nice solutions that will provide you with plenty of options as to how your blog looks and displays your text. The big downside with these services - Typepad excluded, which is a paid service - is that you can't use your own domain name. So, instead of having masternewmedia.org, for instance, if you were using blogger, your website address would read masternewmedia.blogspot.com. While this won't bother some people, and it is possible to hide, professional users might prefer to have their blog hosted at their own domain. If you want a greater degree of control over the presentation, modification and location of your blog, stand-alone or self-hosted platforms might be more suitable for your needs. Far and away the two most popular solutions are Wordpress.org, which is open source and free to use, or the subscription based Movable Type. Both platforms are highly extensible allowing you to easily add different "themes", designs for your blog, as well as "plugins", which add extra functionality to your blog. Optiniche provide an excellent screencast tutorial on how to get your Wordpress.org blog installed on your own domain. Thankfully the Movable Type team have created a useful screencast video demonstration on their website taking you through the installation process, too. Wordpress is very popular due to the fact that it has an enormous amount of Open Source, free support from its active community, and a huge array of free themes and plugins to enhance your blog with. "Movable Type-the top choice to control multiple blogs from one spot. The free version allows unlimited blogs under one login, so you can sure save some headaches if you run several blogs. The bad part? Movable Type is rather difficult to set up." Nevertheless armed with a good video demonstration of the process, this is not an unmanageable task. Personally I would recommend a self-hosted solution if you are looking to blog professionally or as part of your business, and a hosted solution if you want to blog for fun, or as an experiment to see if you enjoy blogging. Can I Blog From My Desktop? Usually speaking blogging takes place right within your web browser. You log in to your blog, create a new post, just as you might write an email, providing a subject line or title, and then a body of text beneath. The problem with writing online is that browsers can crash, or your web connection can suddenly cut out, leaving you high and dry. One solution to this problem that a lot of people use is a desktop blogging application. This is very much like a word processor or desktop publishing program, only it sends your finished work over to your blog. There are some great free and cheap blog editing applications on the Windows, Mac and Linux operating systems, so whichever you are using, you can write (and save) your posts without the need to be online. Brice Dunwoodie reviews some of the Windows options over at CMS Wire, and while he doesn't get along with these applications 100%, the most promising of the bunch seems to be ecto, which is also a Mac application. Mac users might want to check out Earl Moore's review of three desktop blogging clients . His personal favorite, and the one I have personally found best in my own blogging is ecto. Linux also has its fair share of desktop blog editors available, and the options have been gathered at Terinea Weblog. There are a good five alternatives listed here to get you started, but unfortunately they haven't been reviewed. Linux users would be very welcome to add their personal recommendations to the comments of this post. Quite beyond the technical questions of how to blog, one question that often gets asked by beginner bloggers is what they should write about. While this will obviously depend on why you are blogging in the first place, one piece of advice you should definitely consider is trying to find yourself a niche. Unless you are writing for your family or a couple of friends, the best way to distinguish yourself and build a readership is to focus on a particular niche topic or interest. Whether that's creating glove puppets or PHP programming, the way people will find your blog most commonly will be through a search engine, and they will be searching for something that they want to know more about. That's where you come in. "Why not start with yourself? Take a moment right now and list your interests. What do you search for on the web? Put that on the list. Think about all of the things that fill your day at work or at home. While you are living your life run stuff through the niche filter in your mind — there’s always something that you can add to the list. If you don’t have something to write it down on, call yourself and leave a voice mail. I’ve done it many times. Everyone says I wish there was a [insert something here] on the Internet. Some of us say that a lot. Put it on the list." "Ask yourself, does your blog have potential? Before making any moves go out and learn the competition. Visit as many blogs and websites as possible about the niche you’ve chosen and see if there’s any room left for you. You don’t want to get sucked into a net of gazillion sites about the same thing because chances are you’re going to fail. There’s no need for ten million blogs about soccer where there are only few of them about baskeball." With that said, the key is to drill down further. Rather than writing a blog about football or basketball, why not write about your local team, about basketball sneakers, about the lifestyle of a particular football player. That way you are sure to find a niche that doesn't already have a million competitors. "Bloggers sift through and edit the information for the readers, helping the readers find information from around the web in one place, at the same time bloggers become the “go to” expert. The more people who value or trust what a blogger has to say, the more people will link to and recommend her blog. A blogger navigates readers around the web to find information that is relevant to her niche audience." There is bound to be something that you are passionate about, that really motivates you, and that is in some way unique to you. That's where to begin your blog from. So you have a niche, you've found somewhere to host your blog, and you've set yourself up with a desktop editing application. What's next? Well, it might be worth thinking about the way that you present your content, and how you can make it truly jump off the screen and grab your readers attention. A lot of beginning bloggers will write something more appropriate to an essay than to a blog post. Here are a few pieces of advice that make sure that you leave a lasting impression on your readers. Perhaps the most important part of any blog post is the title. Because that's what will make a reader that finds your content through a search engine decide whether to visit your website or not. This is the make or break point that determines whether you get read or passed over in favour of someone else's content. "Do not try to make the title "smart", by using irony, word play or other "journalistic" approach. The title to be built must be thought as of a label to your article in the unlimited virtual library that the Internet is. Inside newspapers the reader is already captive and searching, within the page, for items of possible interest. On the Internet, headlines are often displayed out of context. The reader is searching for your content and will only get to it, if a most appropriate, serious and well thought out label is attached to it. On the web, readers often don't get the chance of applying background understanding to the interpretation of the titles they are presented with. Just like in a real library." This is just one of several essential pieces of advice that Robin gives on titling for the web. Of course you want your titles to be snappy and maybe even funny, but if this is at the expense of ever being read, it makes perfect sense to adopt a more pragmatic approach. Once you have a great title the next thing worth thinking about is what happens when your reader actually arrives at your website. Sure, it would be nice to think that they will read everything you wrote once they've clicked through. In actual fact, a lot of readers will disappear from a site in seconds unless they are captivated and encouraged to stay. "Readers will often read content diagonally to determine its usefulness before giving it a proper read. And in order to pass this direct filter test, you need to write for “diagonal” readers who scan your content from headline to close in a zig zag pattern." Muhammad suggests that you have ten seconds to convince that reader to continue and dip into your full post. I would say that figure is closer to five seconds. So how do you make your text "scannable"? ... A must-abide to rule to use when wanting to chunk content effectively is the one of never going to the next line after a period. Either you proceed on the same line with the following sentence, or you leave an empty line and start a new paragraph below. " "In order to facilitate readers scanning page contents, it is a great idea to use some "bolding" to highlight the first three or four words of content paragraphs that are particularly important. 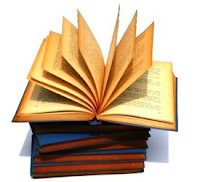 In contrast then with traditional editorial and formatting approaches where bolding is used in the middle of sentences to emphasize relevant content elements, my personal suggestions is to use bold to again highlight opening words of critical paragraphs." Robin finally suggests that the use of images in your posts is an all but essential component that will really help to grab your readers attention. But where are you going to find those? Where Can I Find Free or Cheap Images to Use in My Blog Post? With a bit of time on your hands, it's quite possible to find royalty-free, cheap or free photos and graphics to include in your blog posts. "I use iStockphoto.com the most (as well as more expensive sites — though I do that much less now — and high-quality photo discs from Japan). A few people gave links to their favorite free or inexpensive sites as well." Garr goes on to list both cheap and free resources you might use to track down great looking images. 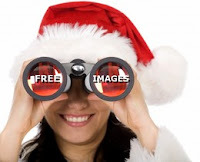 Robin Good has also compiled a very extensive resource of free image websites, with the benefit being that this is updated regularly. At the time of writing there are some sixty-six websites for you to explore. If that still leaves you wanting, which is highly doubtful, you might also check out the pared down version of Robin's guide over at TechSoup. A Blog is a special type of website which has dynamic content constantly being updated as opposed to a static website. A static website's content does not renew itself constantly. Hence it is difficult to attract the search engines repeatedly to index the site. It may take upto two months for a static website to get indexed while blogs are indexed almost immediately. Blogs, because their content constantly renews itself attract the attention of search engines like Google and Yahoo. Ping is the process by which a blog notifies a search engine that new content has been added and the search engine responds by sending its spiders which are automated bots or programs which crawl the site and index its contents. You can automate the ping proces s by going to Settings----->Publishing------->Notify Weblogs.com------->Yes------>Save Settings. You can also ping multiple search engines with one click at Autopinger.com or Pingoat.com or Pingomatic.com. You can ping feedburner at http://www.feedburner.com/fb/a/ping. You can ping Technorati at http://www.technorati.com/ping. To get Yahoo to index you faster create a My Yahoo Account. After publishing a post ping the search engines with the URL of your post and not the URL of your blog. At the bottom of your My Yahoo click the Add Content link. In Find Content box clickon Add RSS by url link next to Find Button. In the next window paste your Beta blog Feed url into the text box and click Add. Bookmark this link in your browser and at the end of publishing any post just click on this bookmark to ping Yahoo. Pingback is a process by which Web authors request notification when somebody links to one of their documents. Blogger does not currently support pingbacks or trackbacks. Blogger instead has the Backlinks feature which enables you to keep track of other pages on the web that link to your posts. For example if someone else posts on a topic similar to yours and links back to your post then your post will automatically show a link to the other post. To enable Backlinks go to Settings------>Comments----->Backlinks------->Show--------->Save Settings. These links are shown under the posts with the title "Links to this Post" next to the Comments link. Clicking that link takes you to the post page where all the backlinks are shown under the post and the comments. You can chose from colors already present in your blog (first section), colors that can blend with colors of your blog, or "more color". If you are fussy, you can even get a wider variety of colors by entering the color hex code. For this, ColorPic is a great tool. If you want ColorPic (free) type or copy-paste "colorpic" into the search box above, tick the "Web" radio button and search. Their site should appear in the first result. And if you are hesitant to tinker with the color, I think you should not be too worried because there is a provision for you to revert to the template default color. You should see a link on the right in the screenshot that says "Revert to template default". Click on that link (not in the screenshot but in your Blogger page) and everything should be back to its original state. Please note that I have no occassion to do that, so I am assuming that that is reliable. In anycase, you should have back upped your template. Most Blogger template by default put a "About Me" or Profile at the top of the sidebar. The information you get in the "About Me" section will be the information you gave when you first created a Blogger account. There are many ways in which you can edit your profile or "About Me". You can sign into blogger.com (Dashboard) click EDIT PROFILE at the top right of the Dashboard and you will get to your Profile editor. There you can edit the "About Me" (Profile) with many options - add a photo, description, town, region, country you live in, your homepage URL (this will become a link that direct visitors to your favorite webpage which may be your own or others), add your interests, favorite movies, favorite musics, favorite books, email address, chose whether to display the email address for visitor to your full profile to email your, etc. All these are options which you can choose to add or ignore. You can also give your birth date, but this will mean the astrological sign (Cancer, Capricorn, Virgo, etc) will be displayed. Many don't like this and if you don't want it, leave your date of birth blank.